Roof repairs prevent the spread of water infiltration in a commercial building. An intervention at the right time, performed with the proper materials, protects the integrity of the building and its roofing system. It will be possible to restore the effectiveness of the roof and prevent problems from recurring. In addition, there are various commercial roof repair solutions depending on the type of covering. The choice of roofers is as important as the repairs they undertake. They must be experts in the various types of roofing systems as well as understand how different materials age. Thus, it is recommended that you choose experts who will be able to complete the work in a way that will protect your investment. Water infiltration results from a flaw in the roofing. Therefore, it is crucial to find the source of the problem, so that the appropriate steps can be taken. If the cause is not properly identified, the repair will be temporary because the problem has not been corrected at the source. Leaks will have spread inside of the roof and continued to cause significant material damage. As a result, repair costs will be higher. In the worst case scenario, it will not longer be possible to fix the infiltration by repairing a specific area, because the problem will have spread to the whole of the roof. To be effective, roof repairs must be carried out promptly and in keeping with industry standards. In an emergency, our service units can respond immediately and quickly locate the problem area. 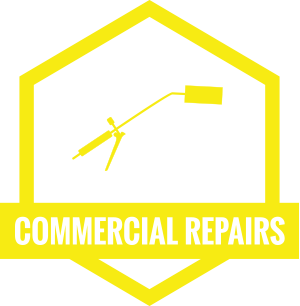 Then, our commercial roofing repair specialists will guide you in choosing the most effective intervention. They can then carry out the repairs on site, since they are equipped to meet any eventuality. We remind you that the best way to protect your roof, as well as your long-term investment, is to prevent the need for roofing repairs through regular inspections. When a roof leaks, you must immediately find the problem and plug it at the source. Check with our technical advisers about the best roof repair.